Researchers at TILDA will study the role of autonomic function in the development of cardiovascular disease in adults thereby creating new biomarkers and opportunities for intervention. Cardiovascular disease is the leading cause of mortality in western cultures and a significant cause of major disabilities such as stroke and dementia. The new HRB Interdisciplinary Capacity Enhancement (ICE) award for €590K over 3 years will enable applied health research and implementation science to rapidly translate policy relevant findings from the cardiovascular domain into policy and practice. 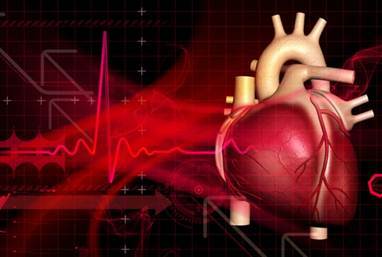 Insights gained from the study may open new avenues of cardiovascular risk assessment and treatment. The research will be lead by Prof. Rose Anne Kenny (TCD/TILDA) with collaboration from Dr. Emer Shelley (HSE), Prof. Tom Fahey (RCSI), Prof. Charles Normand (TCD), Prof. Ciarán O’Neill (NUIG) and Prof. Alan Barrett (TCD/TILDA). A further population health sciences award for €300K over 3 years was made to study type 2 diabetes and its relation to cardiovascular function, cognitive function, mental health and socioeconomic factors. The burden of type 2 diabetes mellitus and its complications are immense and disproportionately affect the older population and socioeconomically disadvantaged communities. Depression and anxiety often occur together and are more common in people with diabetes. By 2030 diabetes will have increased by 135% in the over 65 years and older worldwide. The Principal Investigator, Prof. Rose Anne Kenny said that “The study will advance the science of population health by using biological and demographic data from TILDA to address several limitations in the current knowledge of diabetes and cardiovascular brain health in Ireland.” Co-applicants are Dr. George Savva (TCD/TILDA), Prof. Brian Lawlor (TCD/SJH), Prof. Joe Barry (TCD), Dr. Jean O’Connell (SVUH) and Dr. Siobhan Maty (TCD/TILDA).